Punjab takes on Karnataka. 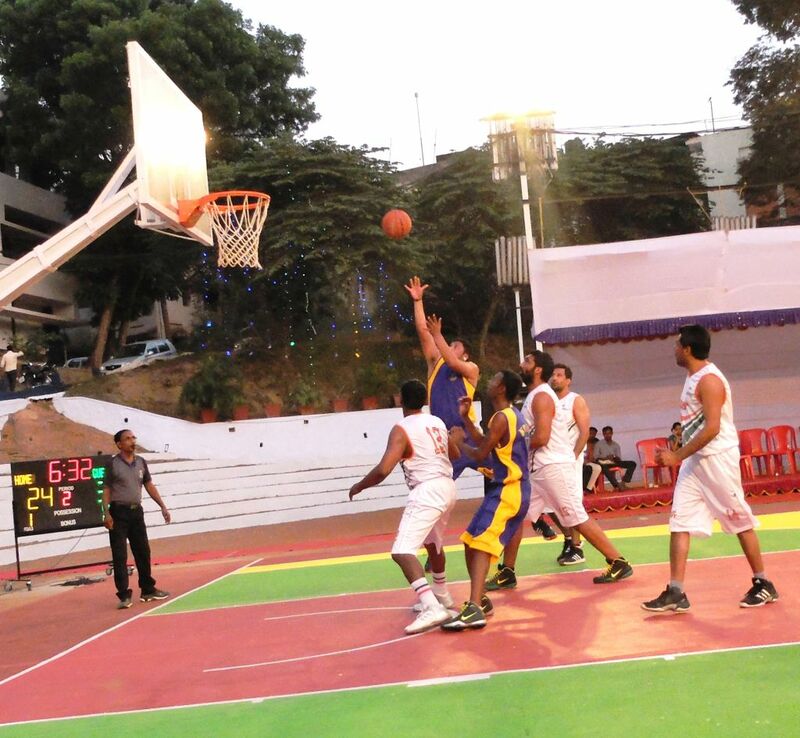 Photo Courtesy: Kerala Basketball Association. Babykutty/Press Release: Along with reigning champion Punjab State power Corporation Ltd, host Kerala State Electricity Board, Tamil Nadu Generation and Distribution Company Ltd and Haryana Power Sports Group have confirmed their place in the semi finals of the 39th All India Electricity Sports Control Board Basketball Tournament for Men here at the Pattom Vyduthi Bhavan Flood Lit Basketball Court in Thiruvananthapuram. Kerala Electricity Board, Punjab, Tamil Nadu and Haryana registered their 3rd consecutive wins from their Group to confirm their place in to the semi finals. In the morning session, Maharashtra Distribution Company bt Andhra Pradesh Generation Company Ltd (56-41), Tamil Nadu Generation and Distribution Company Ltd bt Andhra Pradesh Transmission Company (47-33), Maharashtra Transmission Company Ltd bt Maharashtra Generation Company (35-24) and Haryana Power Sports Group bt Karnataka Power Transmission Company (76-53).